Besides family names and dates place names are of paramount importance for researchers. The usage of Polish and German names for places is extremely confusing when trying to identify a location where ancestors lived in Central Poland. To make things even more complicated the German and the Polish place names underwent the usual changes to diction increased by the vivid history of this region. 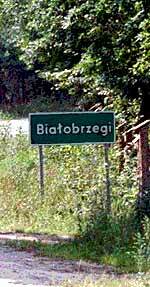 So a place name used by a person living in Central Poland seems to be valid only for a defined time and a defined ethnic group. The following pages might be helpful in finding out more about your ancestor's origin.